Gordon registered 13 points (5-13 FG, 3-8 3Pt), six assists, three rebounds, one steal, and one block in 36 minutes during Wednesday's 121-111 loss to the Timberwolves. Gordon matched his season high assist total and contributed in every category, which helped offset his inefficient shooting. He's posting his best monthly field goal percentage here in February, though that's not saying much. 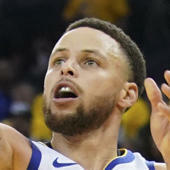 The 30-year-old veteran has seen most of his per-game averages and shooting percentages take a bit of a dip this season but has drained 14 threes across the last four games, so fantasy owners will be hoping he doesn't cool off during the All-Star break and instead finishes the season strong.